We are super excited to get NACS members and colleagues out to the famous NOLA! 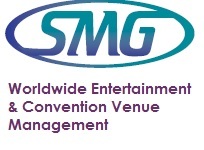 Meet with Show Managers and other decision makers in the consumer show industry! For a printable brochure of the Conference Exhibit and Sponsorship Opportunities, CLICK HERE! Interested in Exhibiting at the Convention? CLICK HERE to register online. Interested in Sponsoring at the Convention? CLICK HERE to register online.